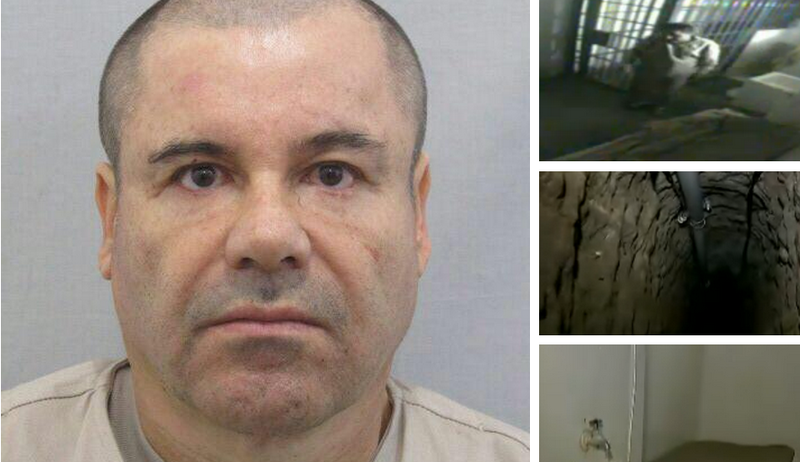 A leaked video of notorious drug lord Joaquin "El Chapo" Guzman's escape sheds further light into the suspicious circumstances surrounding the prison break. The Mexican television channel Televisa broadcasted the CCTV footage of Guzman's escape, A longer version of the video authorities previously released but without sound and only showing the moments before Guzman disappeared. In the video, Guzman is seen lying down on his bed while watching television. At 8:46 p.m. on July 11, loud hammering and drilling noises begin coming from Guzman's cell. A video of the prison control room monitoring Guzman shows employees not responding to the hammering noise that goes on intermittently for several minutes. El Chapo, (meaning "The Short One" or "shorty") was given the name because of his 5-foot-6-inch frame, was captured in Guatemala in 1993 and then extradited to Mexico to face murder and drug trafficking charges. He escaped from prison in 2001 by hiding in a laundry cart after bribing prison guards, and was re-captured in February 2014. 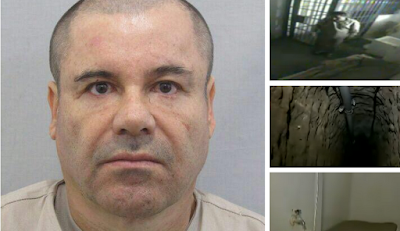 Guzman's previous escape cost him about $2.5 million. The man definitely has a knack for making dramatic exits. Things like this don't seem to happen anymore, so when it does it feel a bit like a folktale. I'm sure in the near future there will be a movie made about him and his escape, probably in the same vein as Alcatraz. He may be a "bad guy" but he sure as hell knows what makes for a great story.